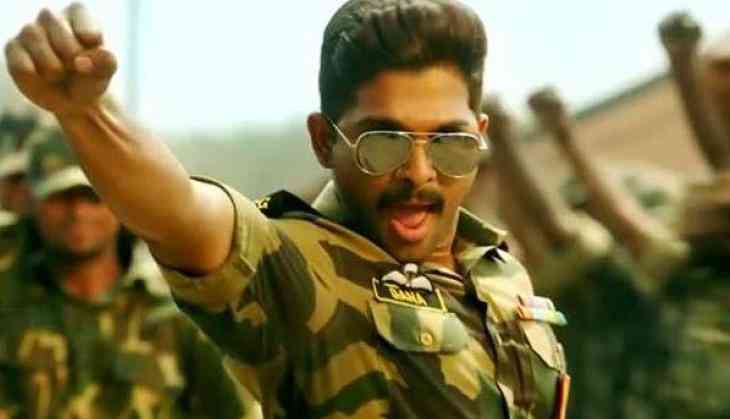 Seems like the makers of Allu Arjun's upcoming film Na Peru Surya have left no stone unturned to make the film one of the best entertainers of recent times. The film was in news ever since the makers announced the technical crew of the film. Naa Peru Surya will have cinematography by national award winning cinematographer Rajeev Ravi and Bollywood composers Vishal-Shekhar as the music composers of the film. And now, the makers have roped in none other than top Bollywood choreographer Vaibhavi Merchant to direct one song from the film. Allu Arjun is also known for his terrific dance moves and the inclusion of Vaibhavi will definitely prove to be bountiful for the song. And with this song, she is also making her South film debut as well as a choreographer. Many are still unaware that Vaibhavi made her acting debut in Sangeeth Sivan's 2000 Malayalam film Snehapoorvam Anna. Na Peru Surya is set against a war backdrop and content of the film is said to have high on patriotism. The Bunny actor will be seen donning the role of an army officer in the film. Na Peru Surya stars MS Dhoni: The Untold Story actress Kiara Advani in the female lead.